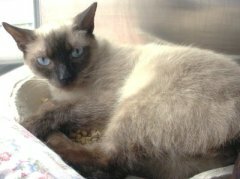 NEUTER NEWS: 194 kitties fixed in honor of National Feral Cat Day! In honor of Alley Cat Allies National Feral Cat Day 2011, 201 cats & kitties were brought for sterilization at Sunday’s spayathon. 194 were actually fixed at the event, 7 had been previously sterilized. Thank you to Miami-Dade County Commissioner Lynda Bell who sponsored the event, and to Miami Dade Animal Services who organized the spayathon. “Pets bring tremendous joy into our lives and ensuring that they are properly spayed or neutered guarantees that the stray animal population is controlled. It’s the responsible thing to do for our little friends and our community,” said Commissioner Bell. “Spaying and neutering, and responsible pet ownership are essential in the effort to reduce populations of free-roaming and community cats. Working together we can help homeless pets find a home,” said Alex Muñoz, Director, Miami-Dade Animal Services Department. 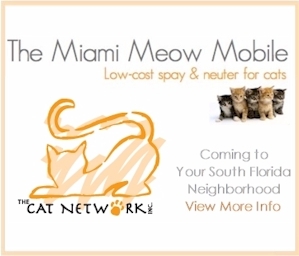 Thank you also to The Cat Network, Inc. volunteers who helped at the event, and thank you also to The Humane Society of Greater Miami who hosted the spayathon at their facility. To all those who participated by spreading the word about the event, volunteering, or who brought a cat for sterilization- excellent job! Each cat fixed brings us one paw closer to reducing the number of homeless cats in our community.